JIC Seat Rails - Dezod Motorsports Inc - Home of the automotive performance enthusiast since 2002. 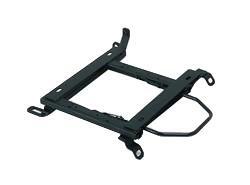 JIC Seat Rail Kit for Reclinable Racing Seats are idea for use with the JIC Reclining Racing Seats. Made of durable steel and put together with high quality steel. Most vehicle applications are available. JIC Office Chair Mount Adapters – Turn you JIC Racing Seat into the envy of the office with a JIC Office Chair Mount Adapter.